You must make reservations at least 5 minutes in advance of the time at Morton's The Steakhouse - Santa Ana. A private lot is also available adjacent to the restaurant. Service was really good. Got seated right away. Server helped us quickly and went over her favorites on the menu. Food was excellent! It was amazing! The food was delicious and the service was friendly and prompt. Over the top experience! We took another couple for a birthday celebration and the entire evening was fabulous. 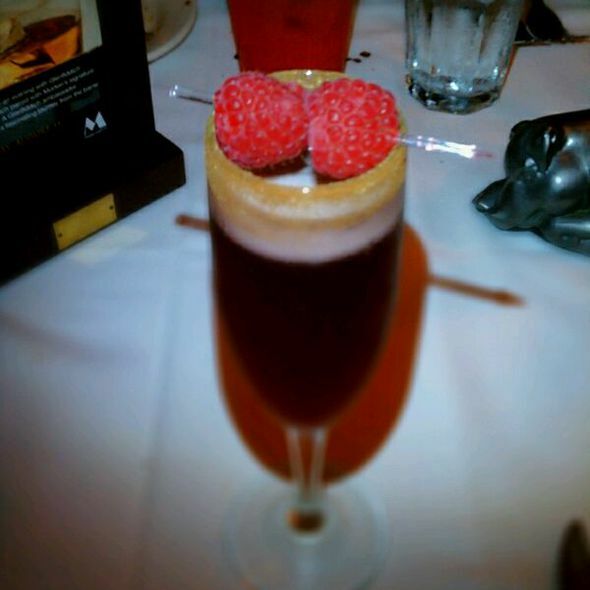 We HIGHLY recommend Morton's! Thoroughly enjoyed our leisurely dinner on Friday night. Our server was Ben and he did an awesome job. 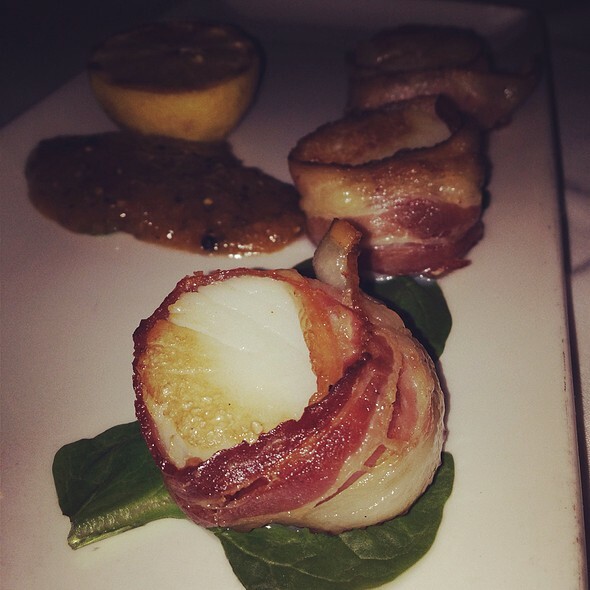 Recommended the bacon wrapped scallops which were spot on. Also recommended the wine which fit well with our meal. I had double lobster tails while my while enjoyed the filet. 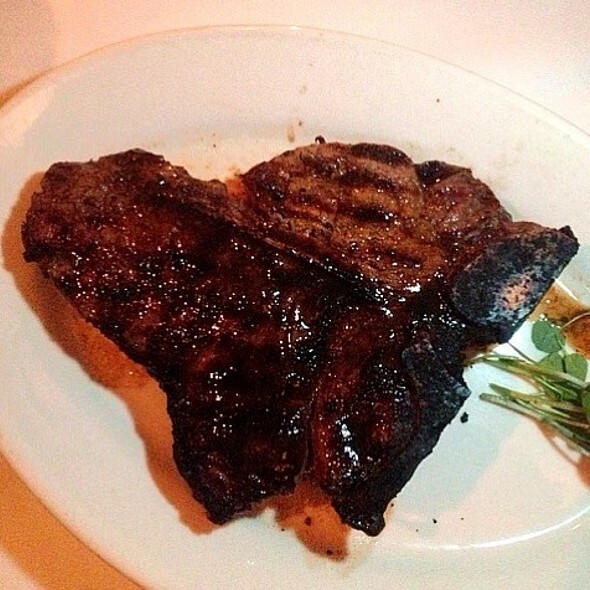 Both entrees were cooked perfectly, which is why we like going to Morton's. Being from Chicago, it is one of the classic steakhouses. Never had a bad meal there to date. Excellent service with our server Rebecca, she did a great job and we enjoyed our delicious food! My family loved it too, it was their first time here and the server made them feel very welcome and educated them on how to order and told us all about the freshness of the meat and sea food and was very helpful and spoke very kindly to the children in our family. We ordered steak, lobster, shrimp dishes and everything was delicious! We ordered two bottles of wine from the excellent selection available. Thank you! Our server was the best! Even the host I talked to for the reservation introduced himself. Everything was excellent. Thank you! I hope we didn't make too much noise. 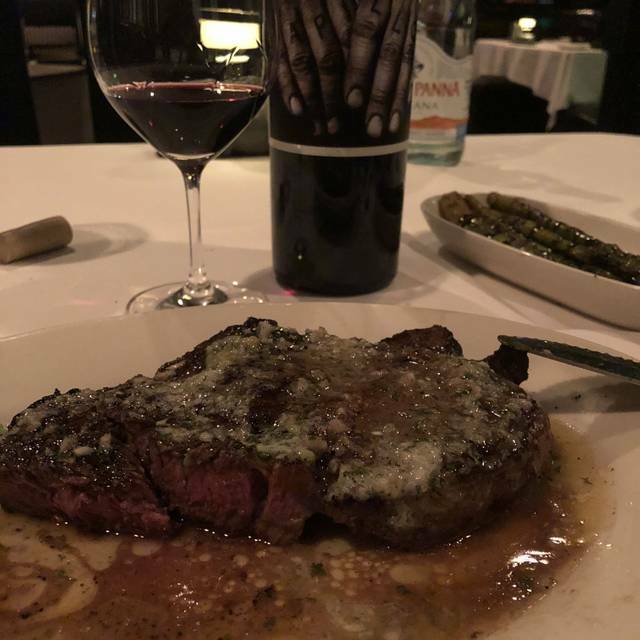 My wife's steak was cooked wrong twice, but the server and the manager are really nice, they apologized and recooked the steak. The manager even took it out of the bill. The 3rd steak was cooked beautifully, and I wished they wouldve done it at the beginning. Best steak in OC ! If you want 5 star food and service go to Mortons in South Coast Plaza, Santa Ana I highly recommend the 3 course seasonal specials an outstanding value. I have stopped going to Morton’s some years ago because I thought the quality was on a downturn. Other friends with whom I dined had a similar experience. However, I’m very glad that I returned Monday night to the Morton’s in south coast village, encouraged by a good friend to do so. 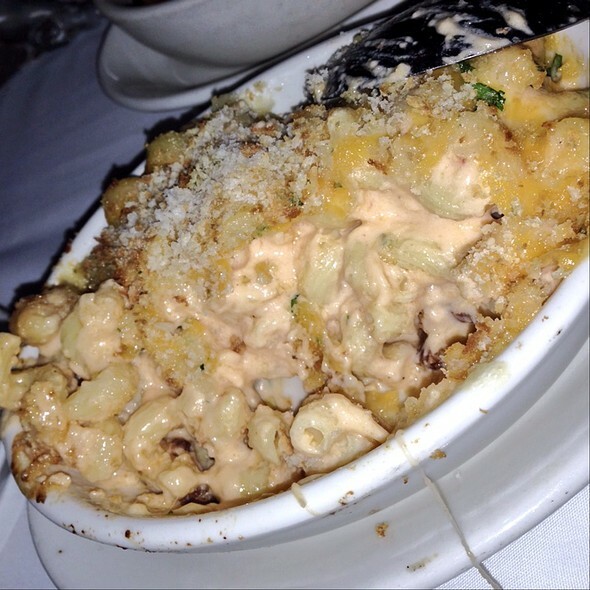 The manager cared that we were satisfied, the server was excellent, and the meal was scrumptious. A bit pricey but given the location not too bad. After many years, my points card was suddenly claimed to be unregistered. Bizarre. Very lovely place to have a meal top notch quality from the door man the host that greeted us and sat us to the waitress as well! 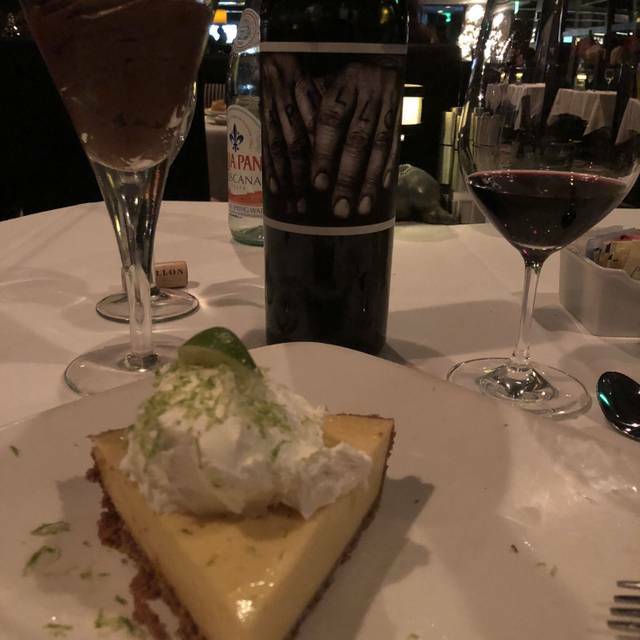 Everyone was very friendly and service was awesome never had our glasses empty or needed to ask for refills and the food was amazing had the filet and the truffle fries so good! We are regulars at Mortons. Love their food and service! Visited this trip on an impromptu date night. We had the special OC weekly restaurant week menu. Perfect size starter salad. We had the filet mignon. Delicious. The side were just enough. We even got dessert! Was very underwhelmed by the service and food, from a restaurant I used to love. None of our steaks were cooked right, I asked for a house steak sauce and was asked if I wanted a-1 or Heinz! No housemade sauce? And then I was brought out an actual dirty a-1 sauce bottle which was so tacky. It was a great first time at Morton's. You can't expect everything to be perfect but good service would of definitely made the experience better. The food was great and drinks were fabulous. Dessert was phenomenal!!! Believe this restaurant is overrated. We found the food to be average. Good but not as great as you might expect from the price. 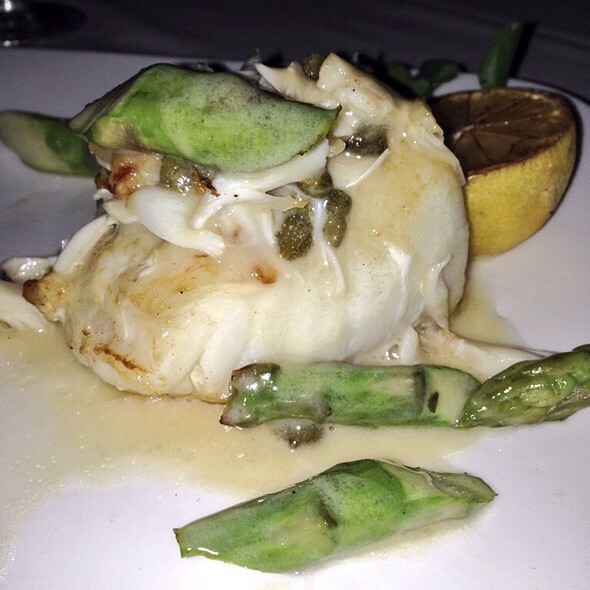 We visited Morton’s prompted by Orange County Restaurant Week promotions. We had a nice, but quite expensive dinner. The atmosphere, food and service were good but not extraordinary. We come here for special occasions and it is always excellent. Our server, Kevin, was awesome too!! One of our favorite restaurants! We try to go at least once a month. Really enjoyed sitting in our theatre style seating booth people watching and enjoining some great food and wine. The sommelier recommenced the House red Raymond and it was fabulous. Also appreciate the service from the front desk staff when we called to say we were at the wrong Morton’s and they committed to keeping our table for us. Took the stress out of the 20 minute journey. Was noisy but there was a huge conference on so was extra busy. Service was a bit slow tonight. Took almost an hour for our soup and salad to come out and the lettuce was wilted and the tomato was not crisp. The onion soup was good. The filets were amazing. Had to ask to get my water refilled. Great food and value for restaurant week, enjoyed talking with Anthony about California and Bordeaux wines, great experience. Everything was perfect! We had a great time. Food and wine were amazing. Everything was wonderful. The service was impeccable. Love Mortons!!!!! We decided to visit as we hadn’t been in a while and I had received an email about twin lobster tails. We went on Friday night, 6:45 and it wasn’t too crowded. We had a chilled seafood platter appetizer that was tremendous. 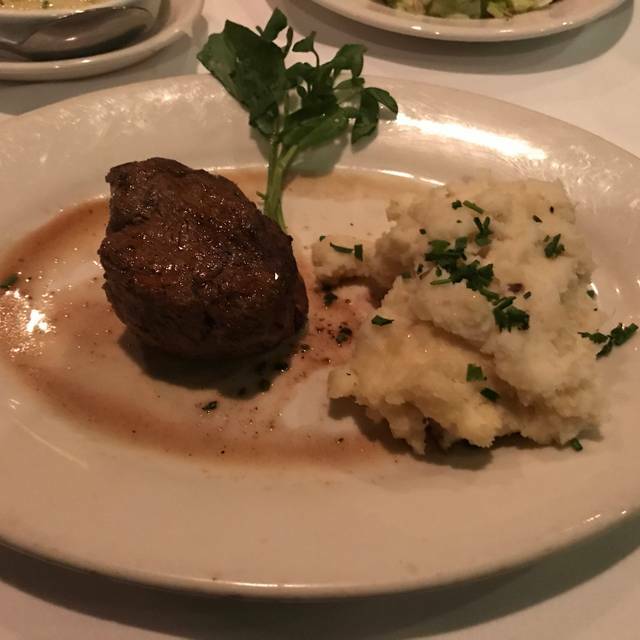 We split a 12 oz filet mignon and the twin tails and it was perfect. We had creme brûlée for dessert. Everything was cooked perfectly and tasted great. Really much better than I remembered. Great food and the Sommelier, Anthony visited with us and made an excellent suggestion. Thx! Our waitress was amazing and suggesting our sauce on top of the steak and it was amazing! She was an absolute doll and the food was sooooooo soooo good! I will for sure be back!!! We had a good experience even though my wife Steak was undercooked. She sent it back and it came back undercooked again. It seemed like they tried to heat up the pieces she had cut off. In the end she sent it back and they removed it off our bill. The management was very nice and responsive and tried to make things better. My bone in ribeye was excellent. Even with the minor set back with my wife, I will definitely come back. Two issues with food not coming out but the waiter took care of one of the items. My husband and I enjoyed our dinner. I did not really enjoy the table we were assigned but the food was great. May I suggest that the waitress/waiter remind guests of the time it takes to make souffles? We did not realize that you offered souffles on the menu until the waitress brought over the dessert menu. The waitress insisted that the Chef could make it in 15 minutes - the chef burned the souffles. The waitress was kind enough to bring us two mousse desserts on the house. I appreciate the efforts nevertheless. Came here for our anniversary to celebrate and service was not good. Our server was nowhere to be found for the first 15 mins of us sitting down. We didn’t even getdrinks until 30 minutes into our reservation. Food was great but we didn’t get to finish our meal because Marcela, our server, came up to us half way through our dinner and said “I ordered you a dessert and if I don’t bring it out now, it will die in the window, so do you want it?” I guess it was nice to of her to think of us but EXTREMELY rude to be slow and then all of a sudden rush us out of dinner. Also we were charged $35 for a corkage fee and our server didn’t even pour it for us. Am I paying you to open it?because I can do that myself. 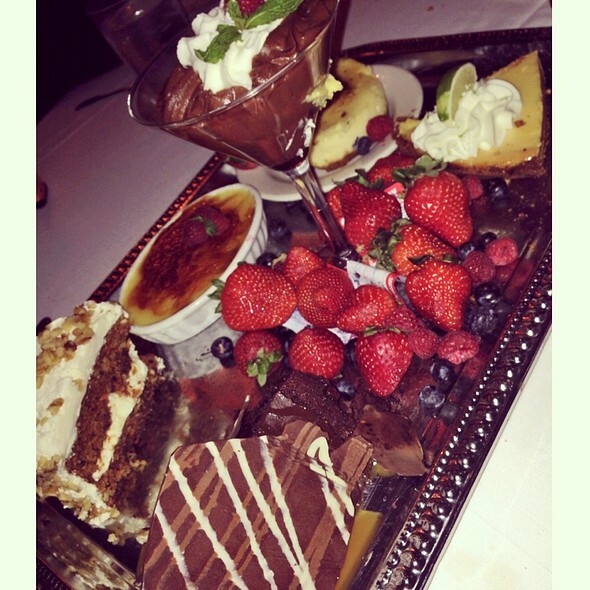 Besides our servers panicked dessert moment, she had no personally what so ever. Needless to say, our anniversary dinner was ruined. Thanks Mortons but we won’t be back.